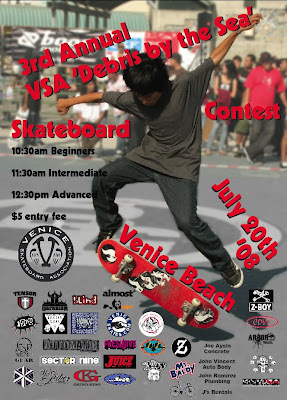 VeniceSurfandSkateboardAssociation: VSA "Debris by the Sea Contest. VSA "Debris by the Sea Contest. Hey Ger-I, it's Lionel from SMC. I work for a music mag now and I want to do an article on the old Venice scene, I figured you'd be a good person to talk to. I have no way of getting in touch with you, but shoot me an email: lionelhill83@gmail.com with your contact info.